Find Hidden Value Using Inventory Best Practices and the Computerized Daily Book. To minimize shrinkage and waste, and set the stage for automated reordering and shrink reduction, you need to know what's on the shelves at your store. The only way to know what's on the shelves is to count items. Counting $70,000 or $80,000 worth of inventory items, and doing so regularly, takes time and requires a planned strategy. That's where the CDB comes in. 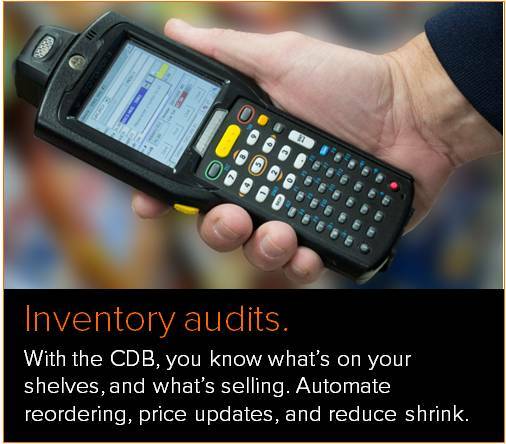 The CDB is packaged with a handheld computer, loaded with easy-to-use software that allows you, your coworkers, or employees to quickly and easily perform an audit of your store. Once you've counted a section of items in the store, all you need to do is transmit the data on the handheld unit to your computer, which makes quantity adjustments to your inventory records, and logs money as lost or found due to the missing or extra items you've discovered. Counting all the items in a store takes a long time. That's why the CDB is designed to handle inventory counts by sections. You can count candy on Tuesday, general merchandise on Wednesday, and so on. Our handheld data processing system is designed so that clerks can do the counting and managers can cross check those counts before anything actually gets modified. 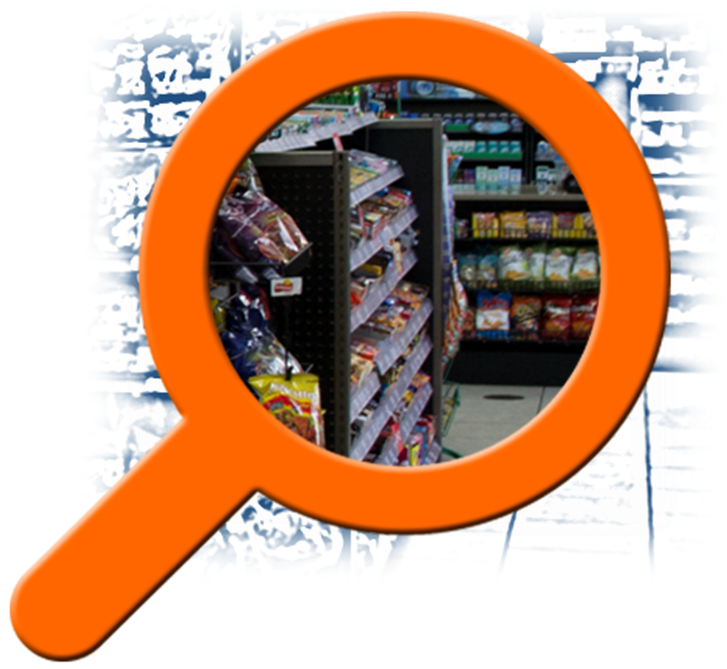 As a clerk, all you need to do is walk down an aisle, scan a barcode, and enter the quantity of that type of item. As a manager, all you need to do is take a look at the items and quantities counted, filter out any unwanted data, and transmit the information to the CDB. Why Audit with the CDB? Auditing inventory with the CDB is organized, efficient, and easy. By using a mobile computer that's linked to your CDB items database, you'll always have a clear, detailed picture of the makeup of the items in your store.